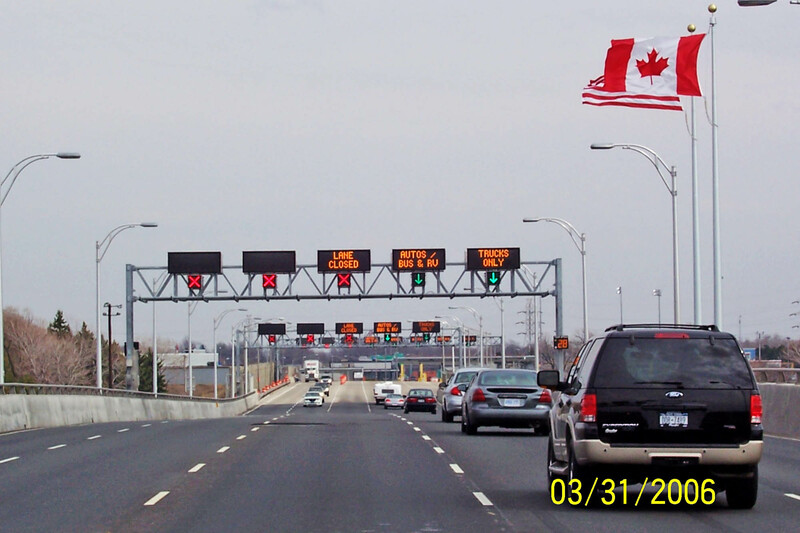 Structures - AMG Metals Inc.
With increased traffic comes new thought processes on traffic direction, and now tolling. 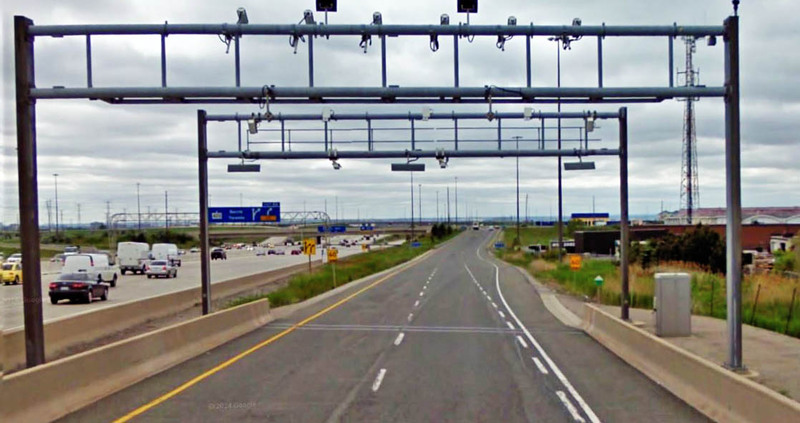 AMG has supplied tolling gantries on the largest toll highway in Canada, and directional gantries for bridges and border crossings. 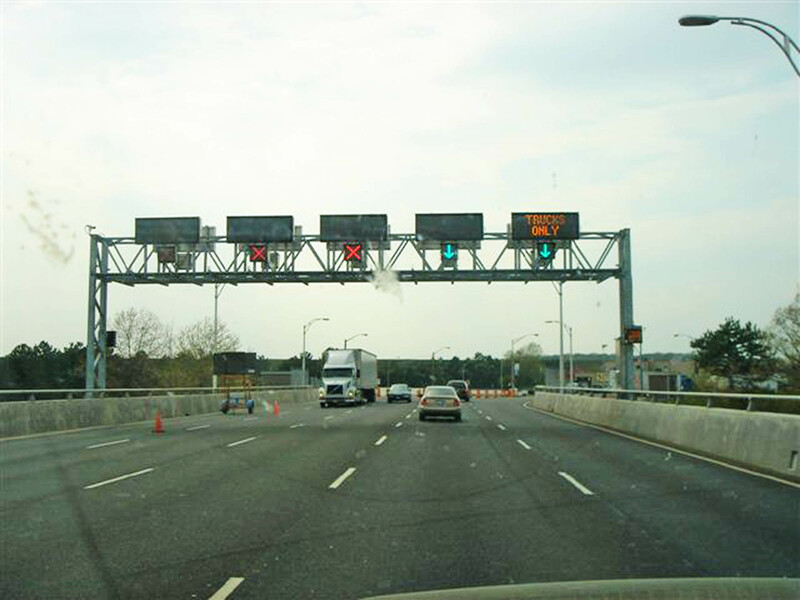 Video tolling gantries require precision manufacturing and engineering due to the inherent requirements limiting camera deflection with gusting winds. AMG is your source for engineering and supply. 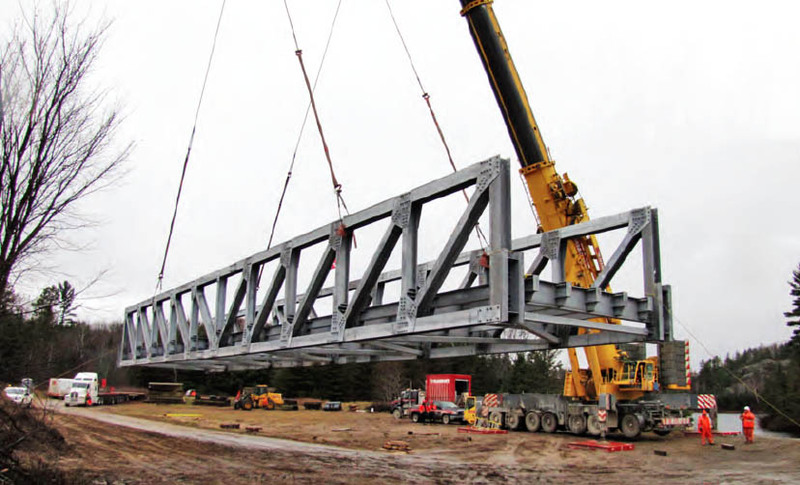 These structures are completely modular, meaning they can easily be shipped, assembled on site, and erected by any experienced crew. 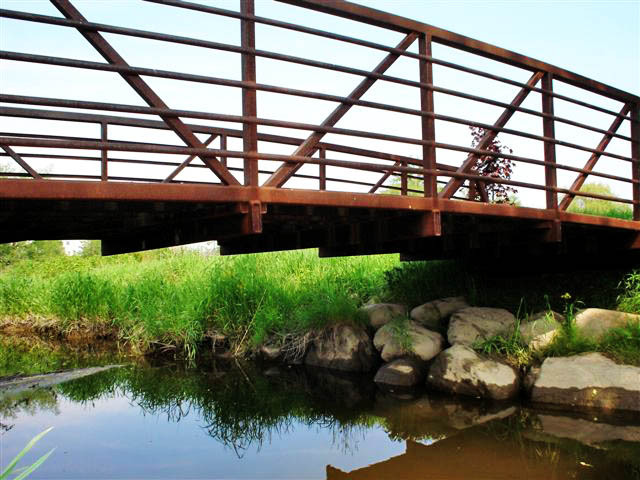 We offer an onsite liaison who can offer assistance with your project install, and provide customer service throughout the entire process from design, specifications to final install. 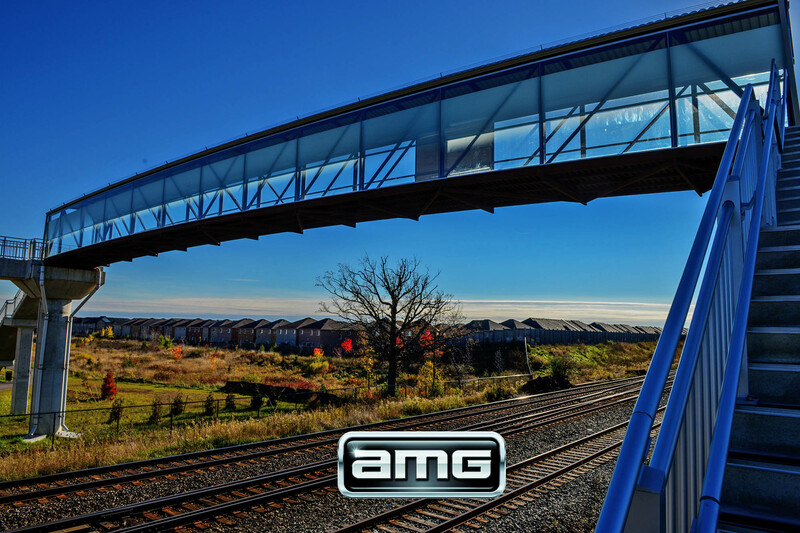 AMG sets the standard with field customer service. 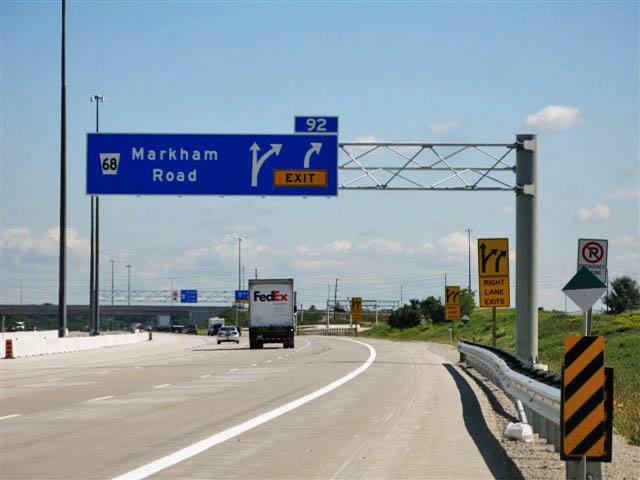 Trichord structures have been used in areas & roadways where large scale directional signage is needed for wide highway spans where a cantilever structure would not suffice. 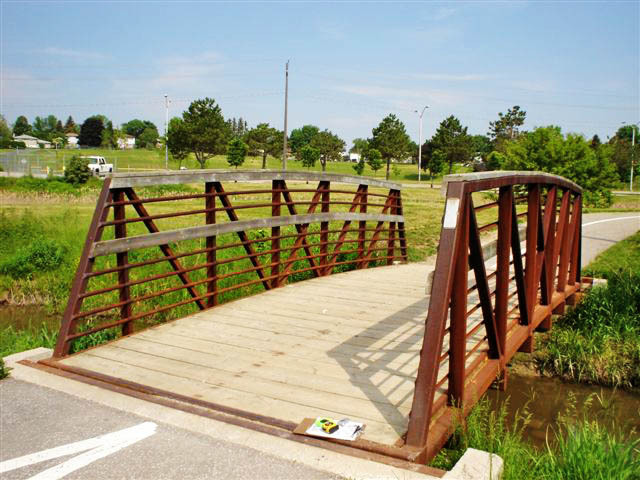 AMG metals fabricates a full welded assembly, and a flat face assembly with bolted diagonals. 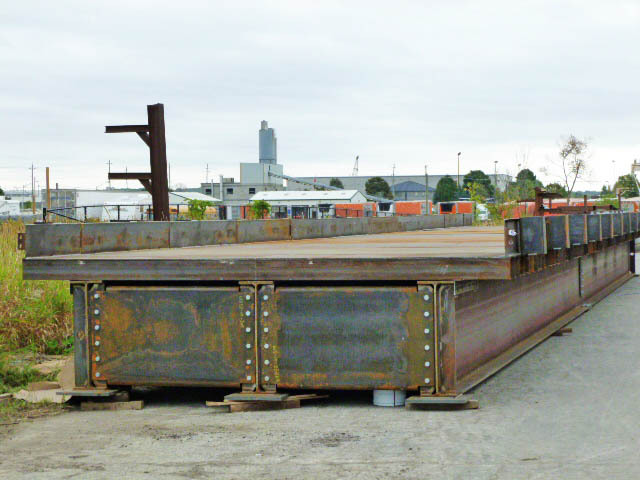 This can save costs in projects to reduce freight costs by stacking structures. 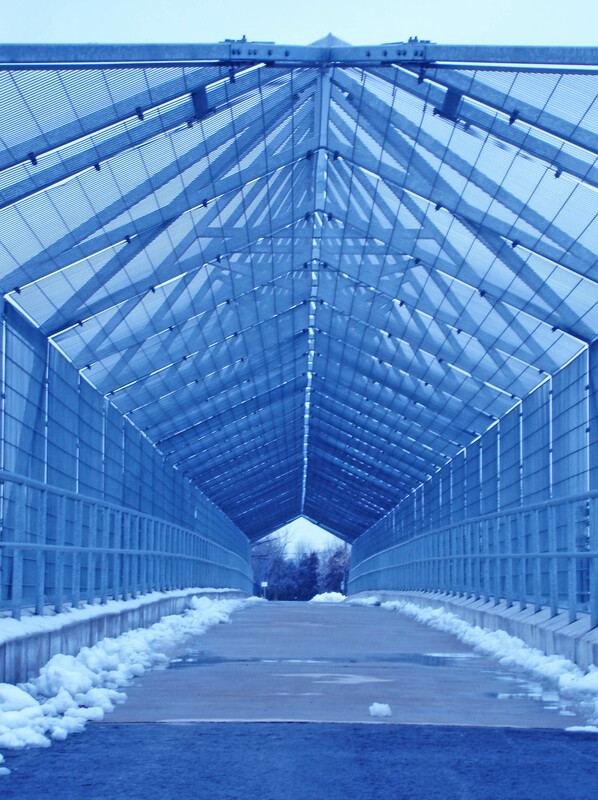 Structures are galvanized, steel, and can be coated if specified. 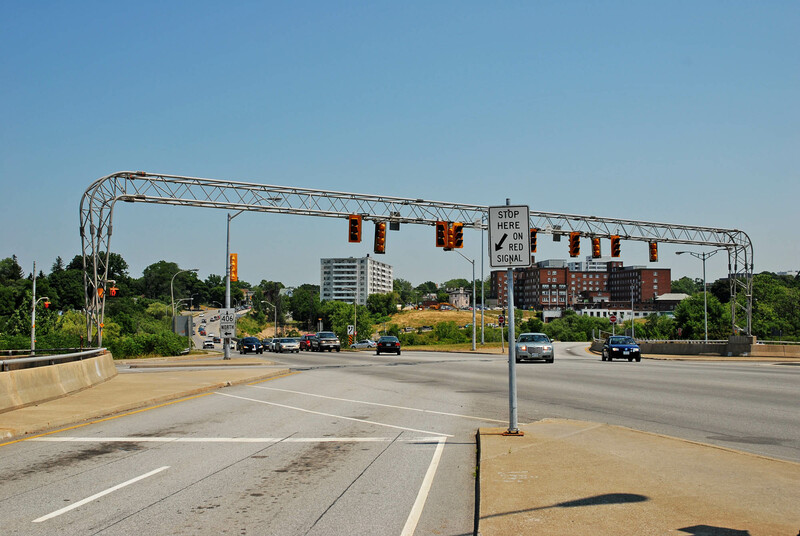 When smaller directional signs are needed, an overhead monotube structure may be utilized. 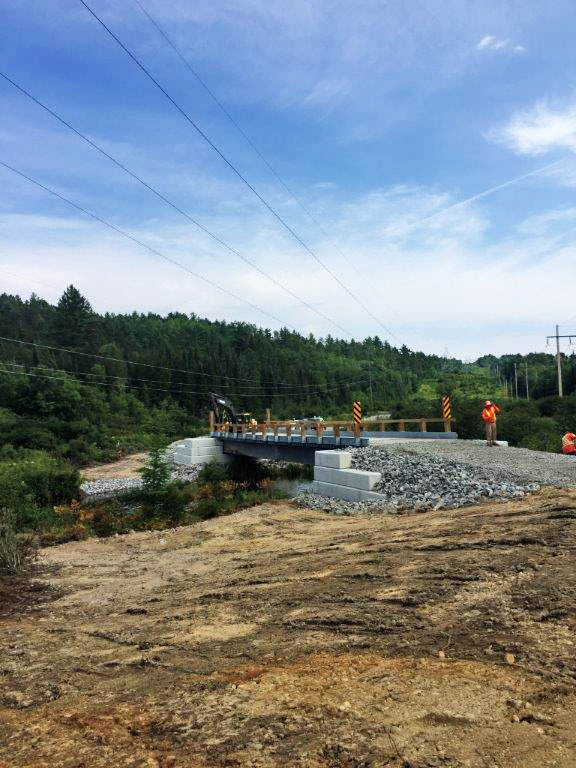 Consisting of 4 shafts bolted together, this structure offers an economic benefit, while offering an easy directional solution. 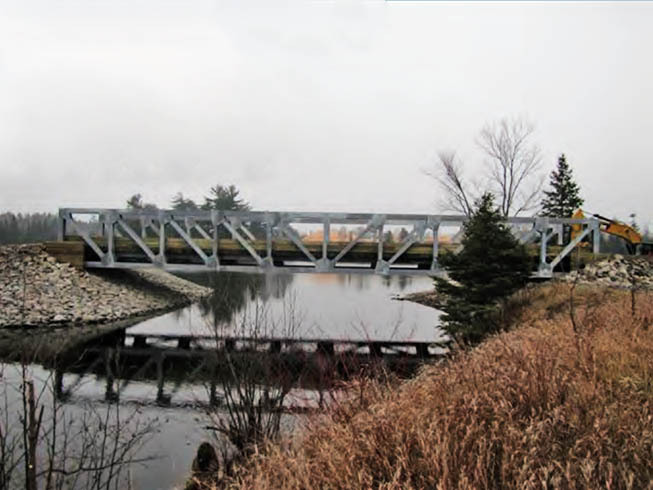 Fully galvanized steel, this structure can be painted as well. 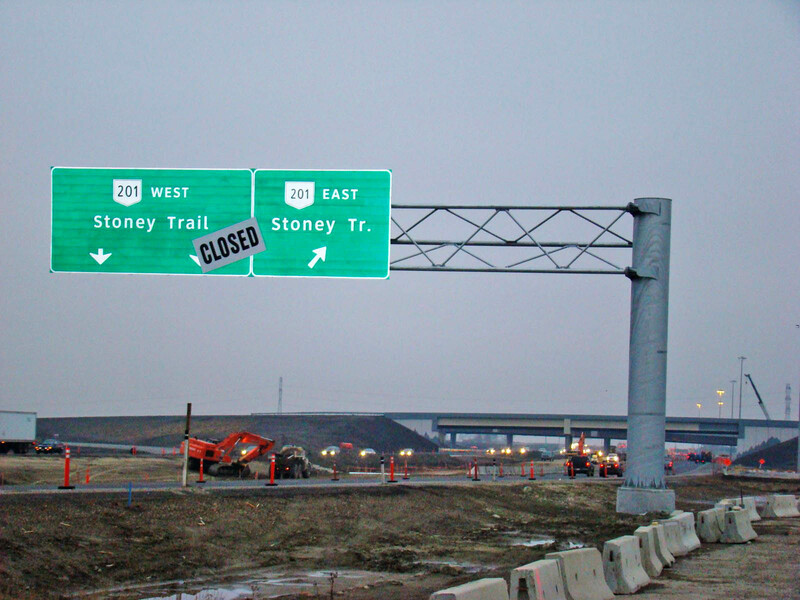 All sign brackets are welded on, or can be offered separate as clamp on items for adjustment of sign locations. 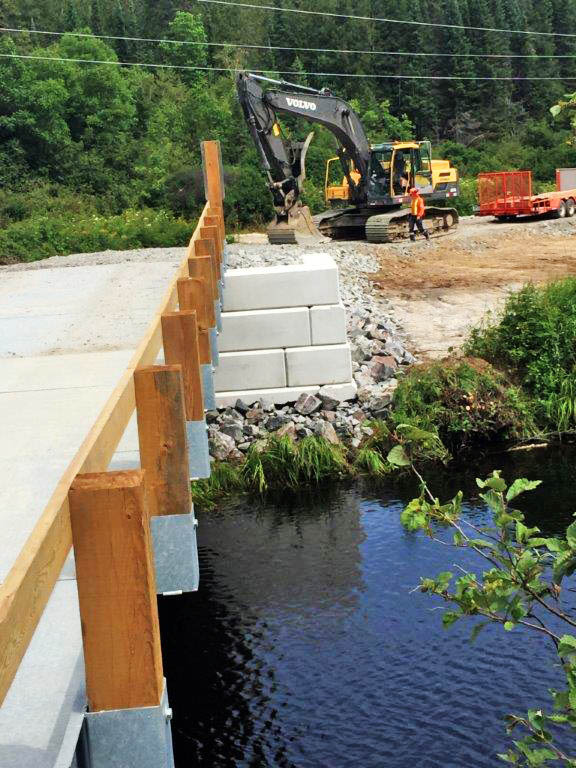 AMG have been leaders in cantilever technology, supplying a large portion of the market with custom designed proprietary designs to Transportation governments across Canada. 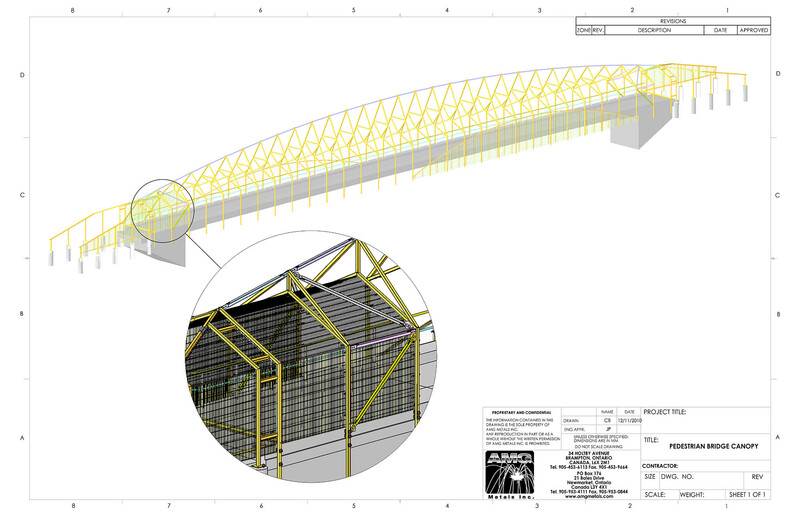 AMG has the capability to quote from plans, or custom design structures to meet your local specifications, loadings, spans & wind pressures. 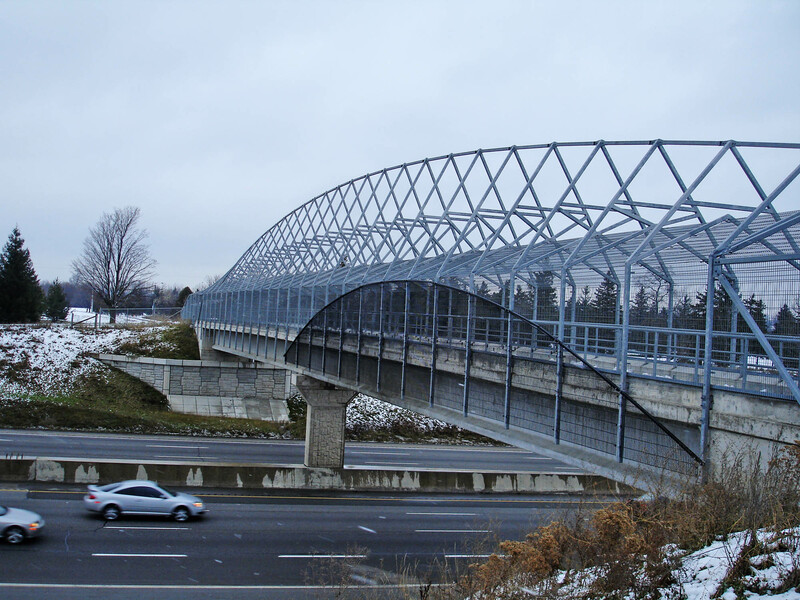 Structures are fully galvanized, and if required, can be painted as well. 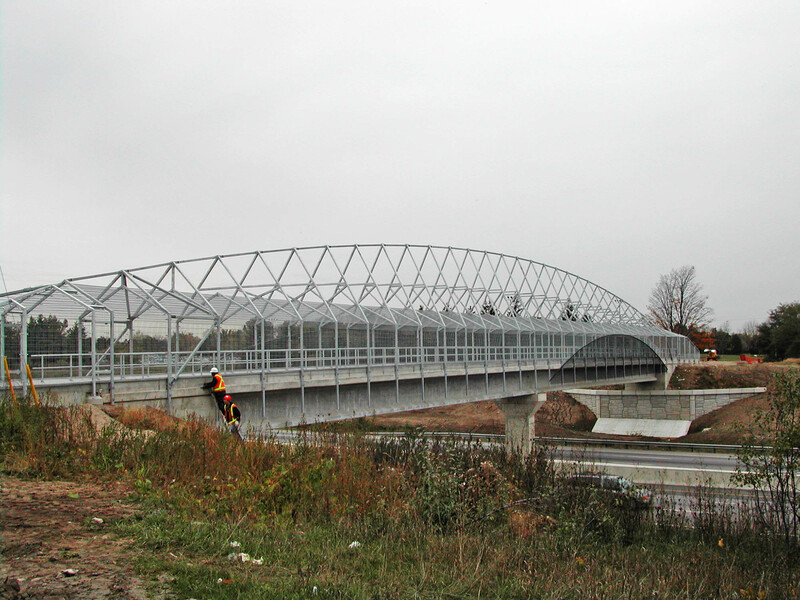 All structures are trial assembled in plant for fit, camber, deflections, and to ensure accurate spans. Welding meets the Standards of the Canadian Welding Bureau & American Welding Society. 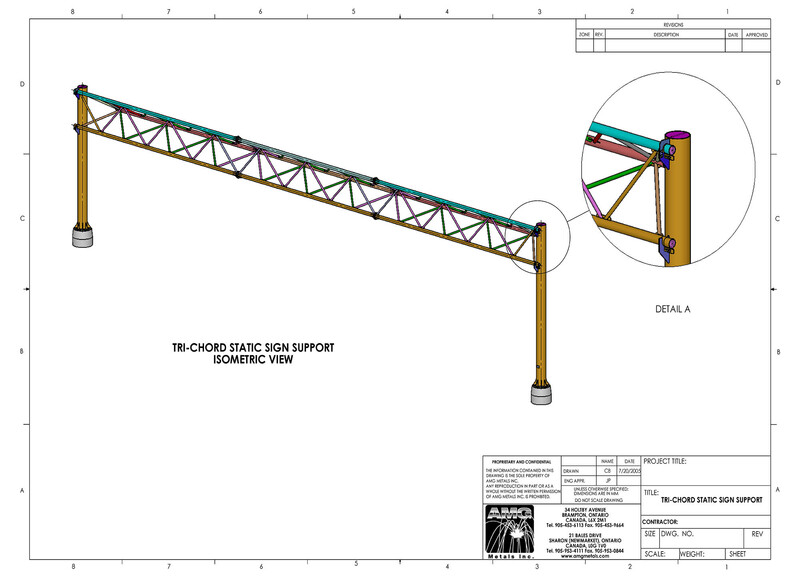 Material & weld test reports are always available upon request. 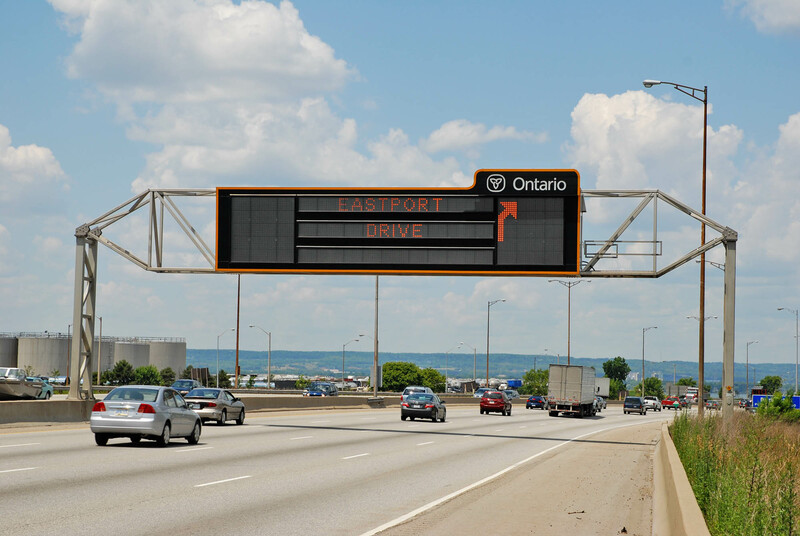 Many Transportation governments have started to deliver safety messages, road delays and other warnings to drivers by using variable message signage. AMG can provide virtually unlimited span, and can co-ordinate with the sign supplier to assure a solution that will fit your needs. 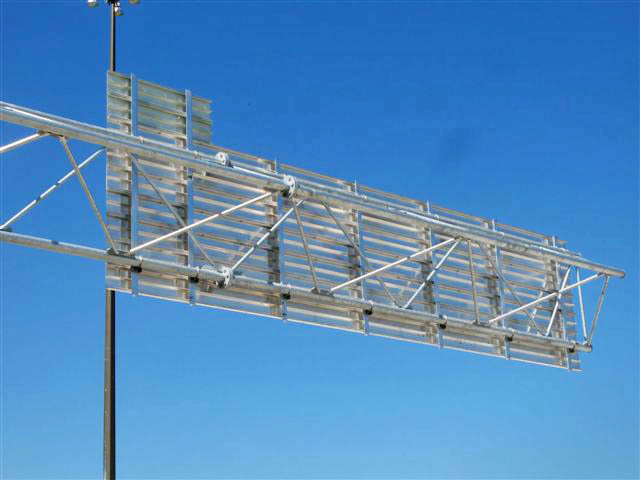 Variable/Changeable Message Structures (CMS/VMS) incorporate 3 elements to serve as an excellent solution for ease of installation, economy, and excellent span widths. With steel galvanized legs, and an aluminum support frame made in 3 pieces, the Sign Panel is skinned around a steel fabricated mid structured , then assembled with the 2 ends, and lifted onto the legs on site. 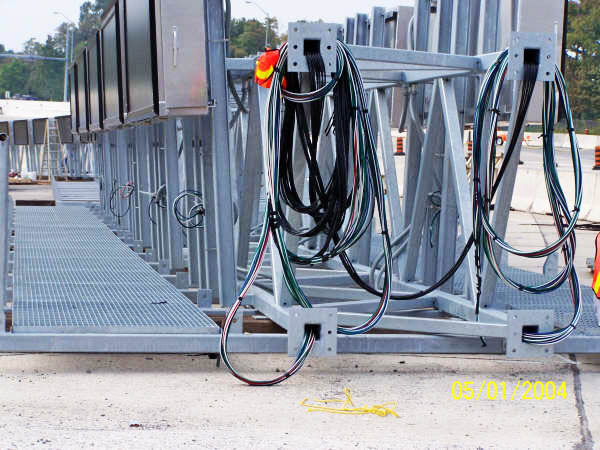 With full ladder & platform access, it allows for maintenance as required, and cleaning. 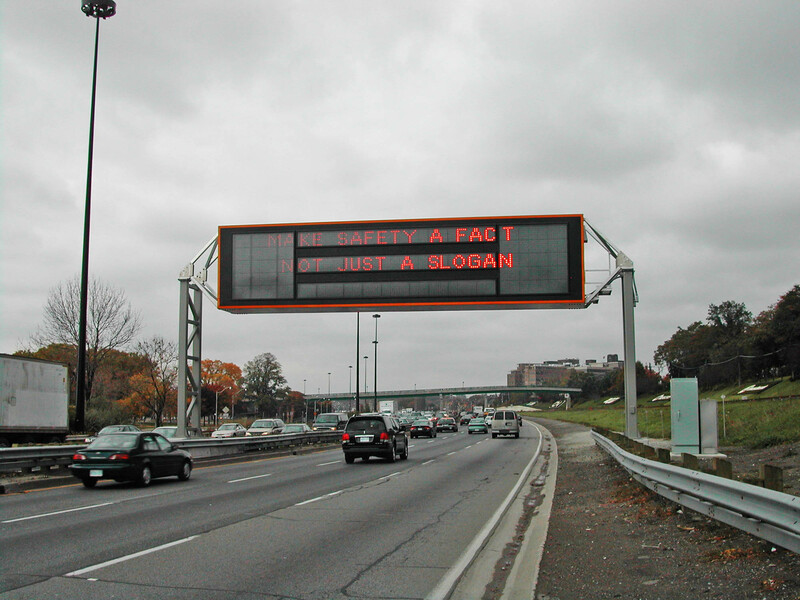 We can provide the sign boards as well, or customer supplied.